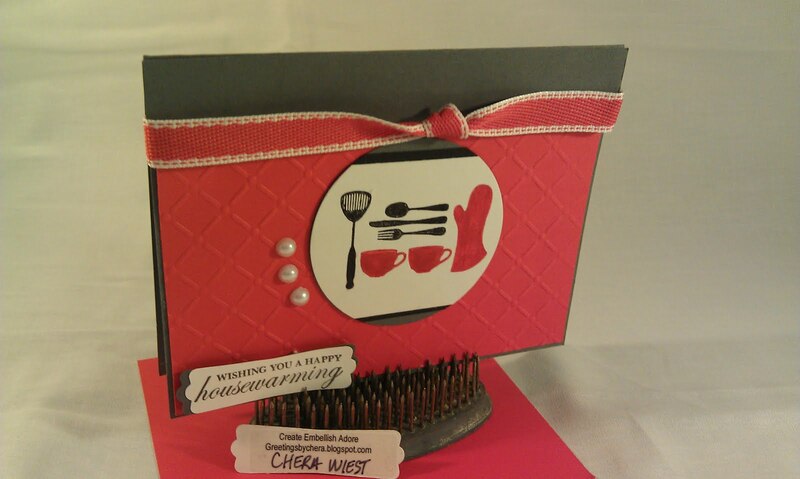 Create Embellish Adore: Now your cookin! 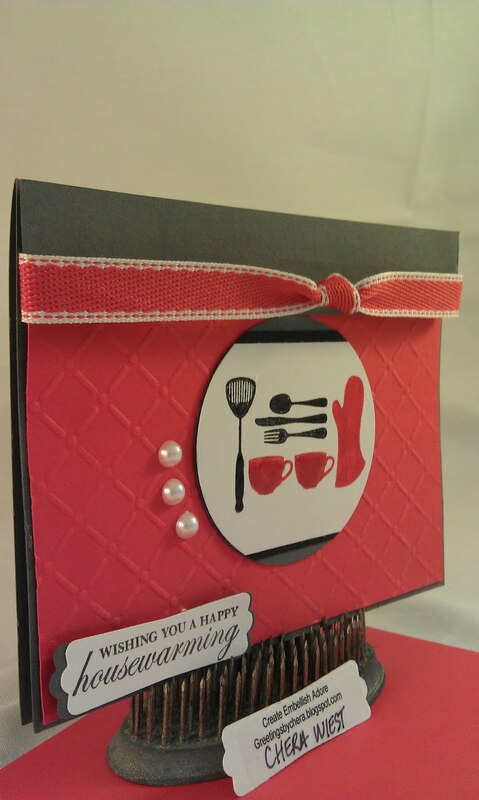 This makes great invitations... for dinner party, barbque, etc... dont you think? I was happy to use Now your cookin' in the Creative Sketches challenge (Poppy Parade, Basic Grey and Basic Black) and use the sketch from Create with Connie and Mary. I am trying to get this photo box right, but truly think its my lighting- since its tinted - sorry! I grabbed the sentiment from Partytime. 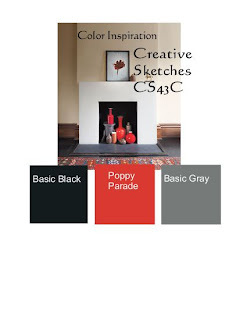 Go join the Girls at Creative Sketches and Create with Connie and Mary you have until Wednesday to join this week's challenge fun! ﻿﻿﻿﻿ Have a great day! This is too stinkin' cute! I love everything about this card! Perfect housewarming card! Thanks for playing the challenge at Create with Connie and Mary! very cute! great colours and use of the layout. Thanks for playing with us at CCMC! Great card and I love the layout. Wonderful card, that stamp image is just TOO cute! Thanks for playing along with the sketch challenge this week on Create with Connie and Mary! We are all domestic goddesses aren't we? Cute card. Very clean and simple. Thanks for playing the Create with Connie & Mary Challenge this week! Super duper cute! I love that image but don't have it yet....oh you're tempting me! Thank you so much for playing at CCMC this week! Your pictures came out great on my computer! I love what you did with this cute little stamp. Thanks for playing at Create with Connie & Mary! How simple, sweet and the PERFECT use of that stamp with the colors and sketch! Thanks for joining us this week in the Create with Connie and Mary Thursday Challenge!